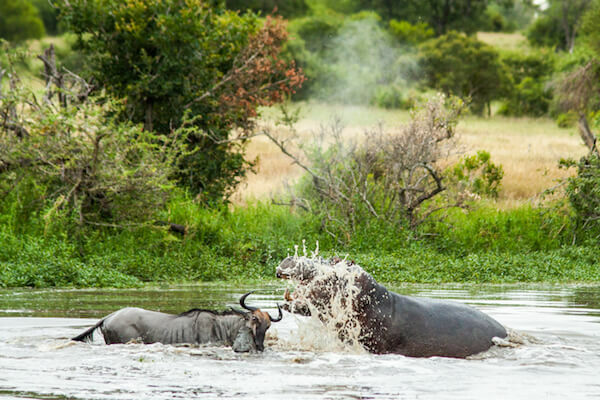 One of the magical things about being on safari is that you can pretty much expect the unexpected to happen at any time. 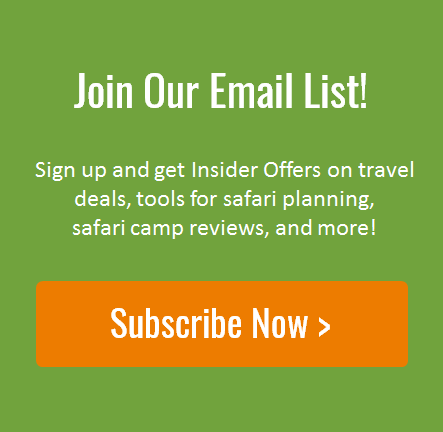 But few unexpected wildlife sightings can rival what Nick Kleer, a guide at South Africa’s Londolozi Pioneer Camp, saw on January 29th of this year. Fortunately, he had his camera at the ready to document the action, which we share below. 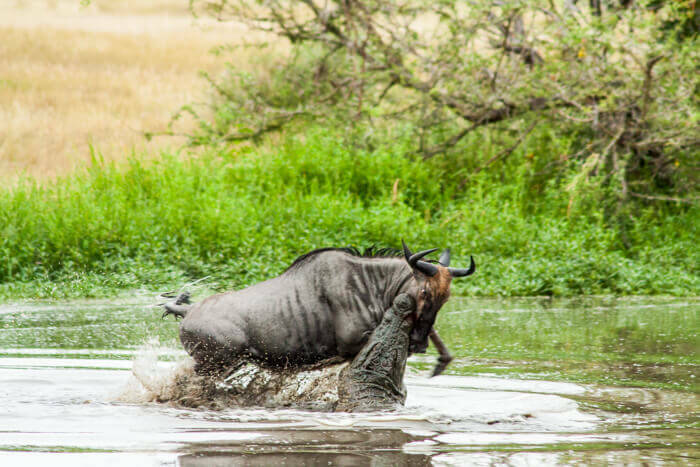 As he explains on Londolozi’s blog, early that morning while on a game drive with a guest, he received a call from a fellow guide alerting him that a crocodile had latched on to wildebeest in a lake nearby. They immediateley raced to the scene to watch the drama unfold. When they arrived, they saw the wildebeest in knee-deep water struggling to free itself from the jaws of the massive crocodile. Six hyenas were pacing along the shoreline in anticipation, hoping for a chance to grab hold of the struggling animal. Amazing, right? Well it gets much wilder. 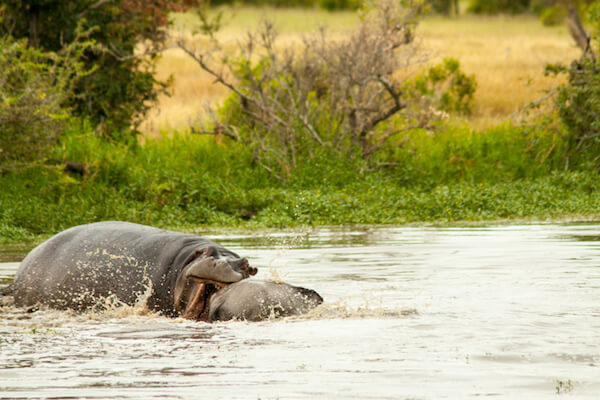 While all of this was going on, a female hippo had been watching from across the dam. She slowly began to make her way towards the chaos. Nick assumed that, if anything, she was going to give the mighty croc a thwacking. After all, hippos are herbivores, right? 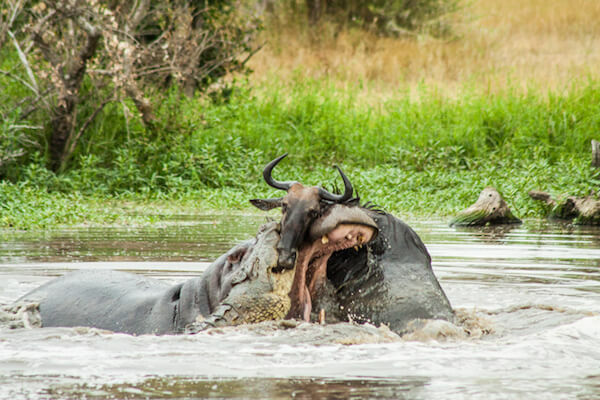 Instead, to the astonishment of the onlookers, she took three massive bites out of the wildebeest before plunging it into the water. For the next hour, they sat and watched as the crocodile and hippo battled over their victim. Eventually, the hippo let go of the wildebeest, and the crocodile retreated to the other side of the water hole with its treasure. Check out Nick’s amazing photos of the incident below. The scene when they arrived. Photo by Nick Kleer. The hippo appears to be curious. What she does next shocks everyone. Photo by Nick Kleer. 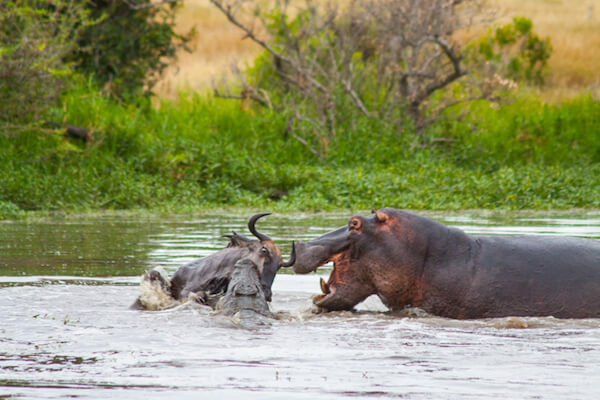 The hippo appears to have the upper hand. Photo by Nick Kleer. The battle continues! Photo by Nick Fleer.